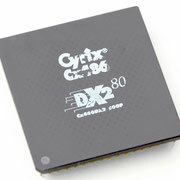 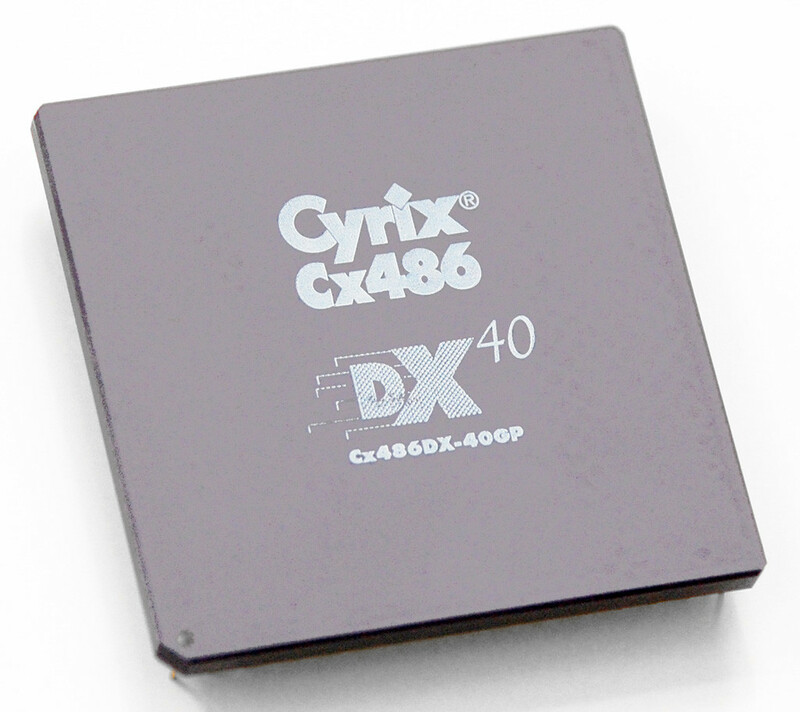 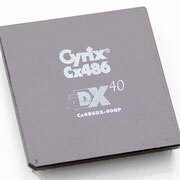 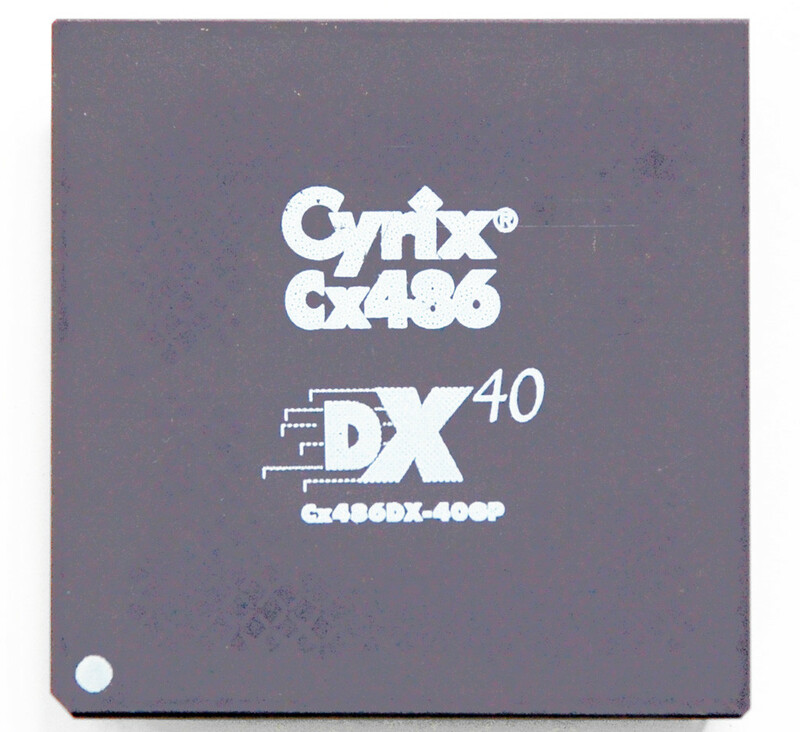 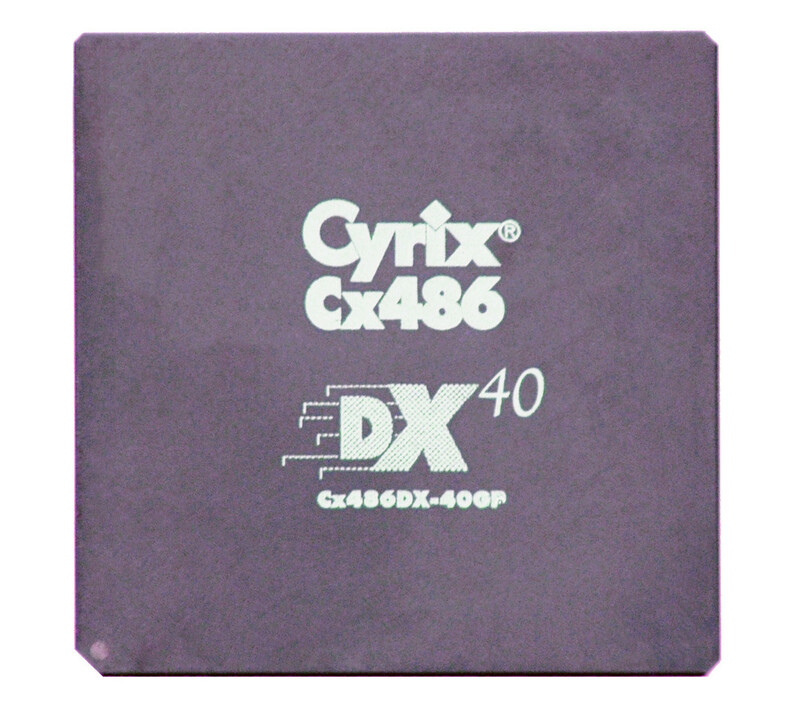 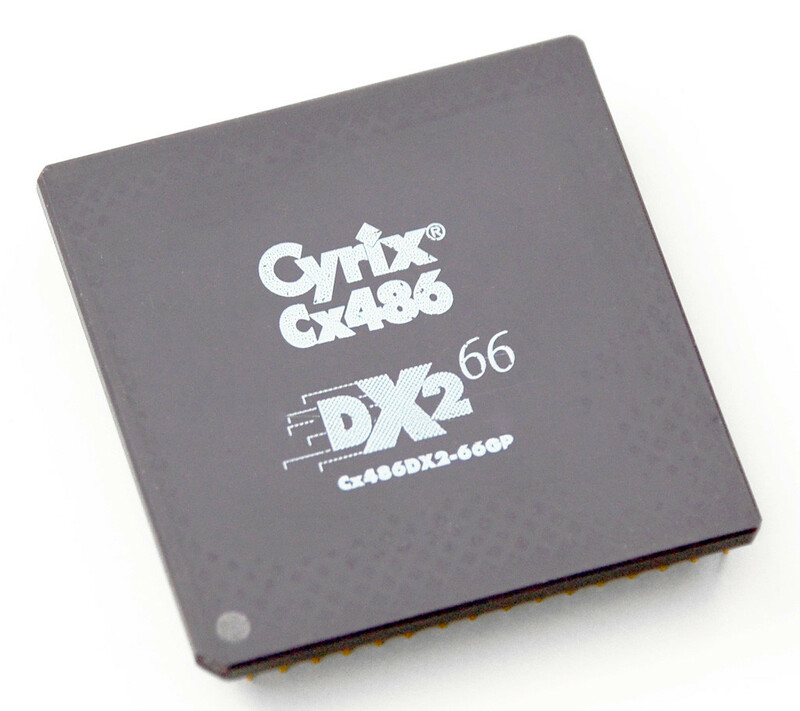 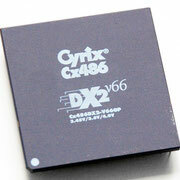 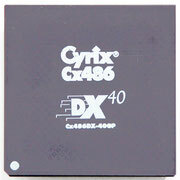 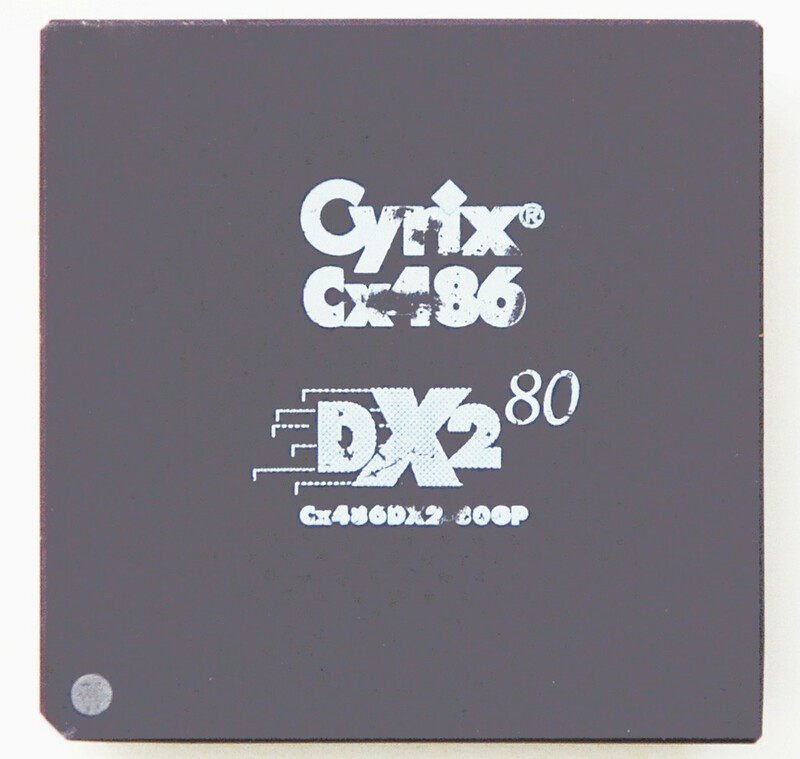 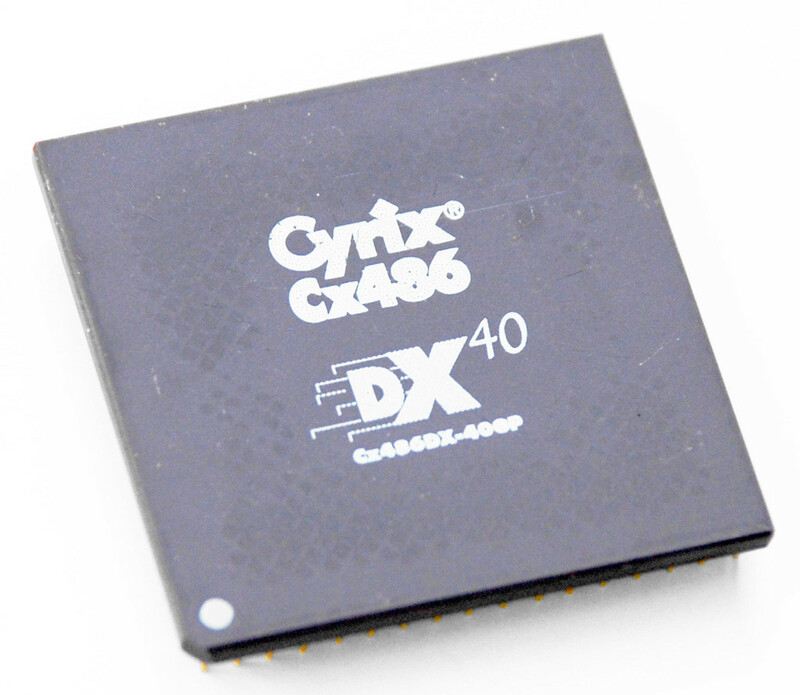 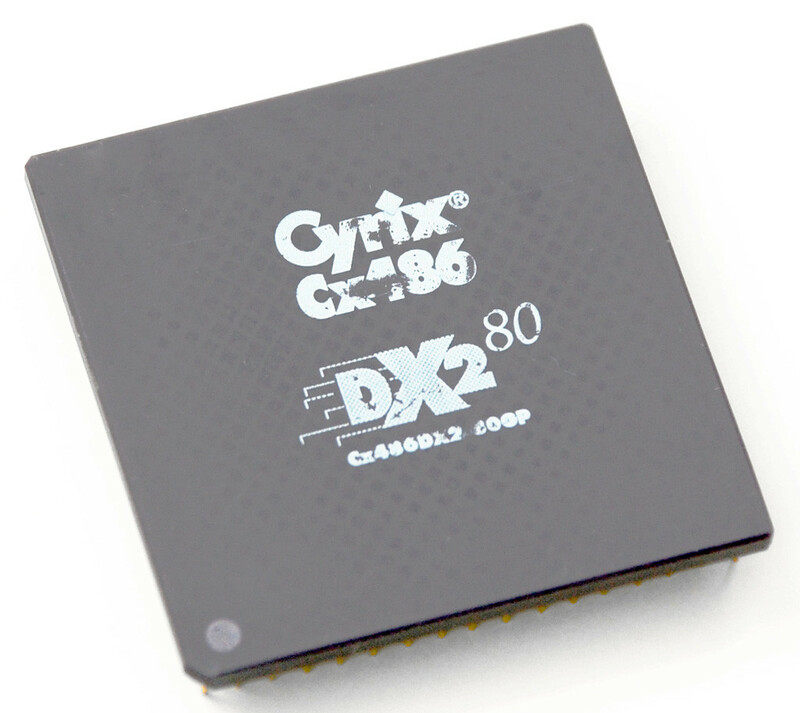 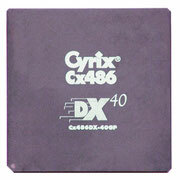 The Cyrix Cx486DLC was an early 486 CPU from Cyrix, intended to compete with the Intel 486SX and DX. 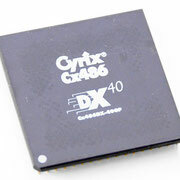 Texas Instruments, who manufactured the 486DLC for Cyrix, later released its own version of the chip, the TI486SXL, with 8 kB internal cache vs 1 kB of the original Cyrix design. 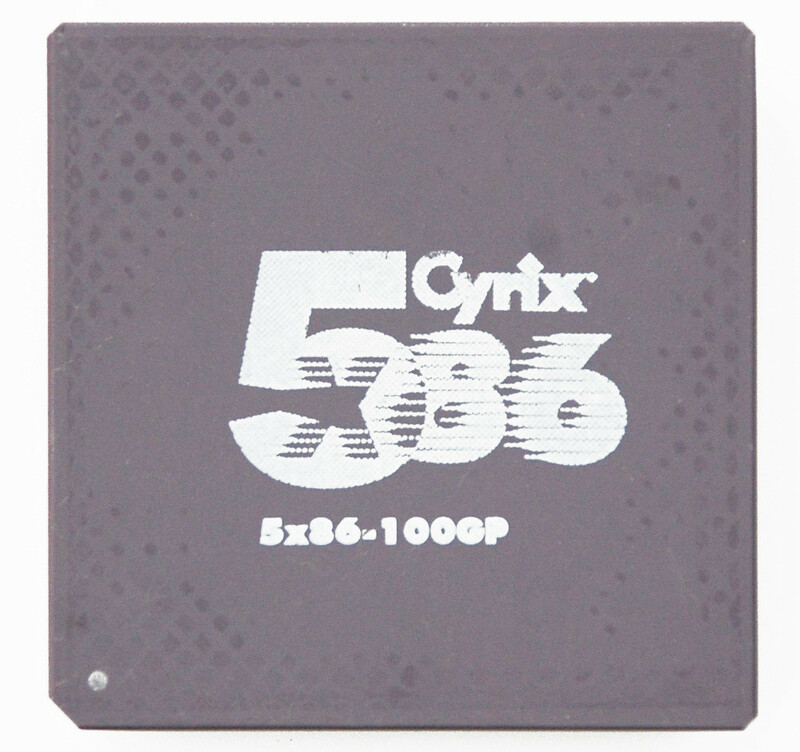 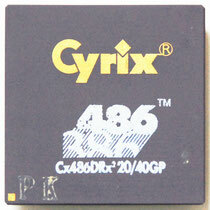 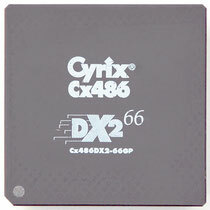 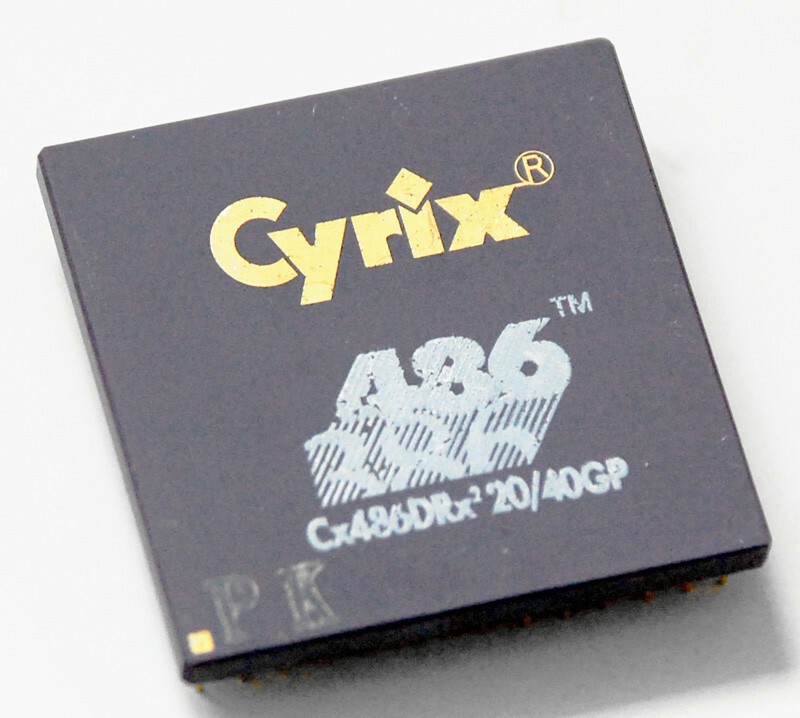 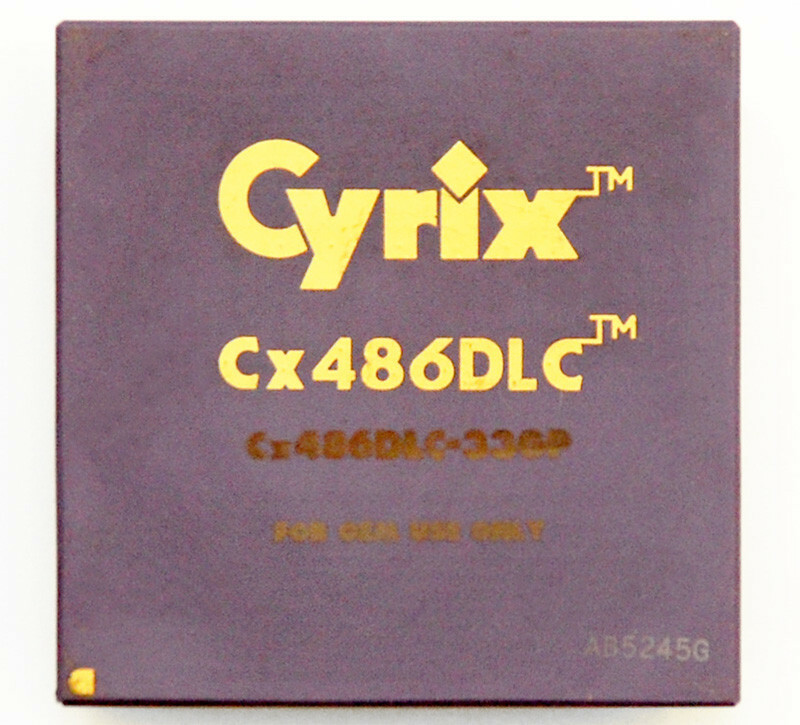 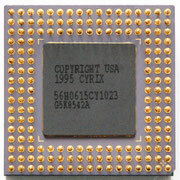 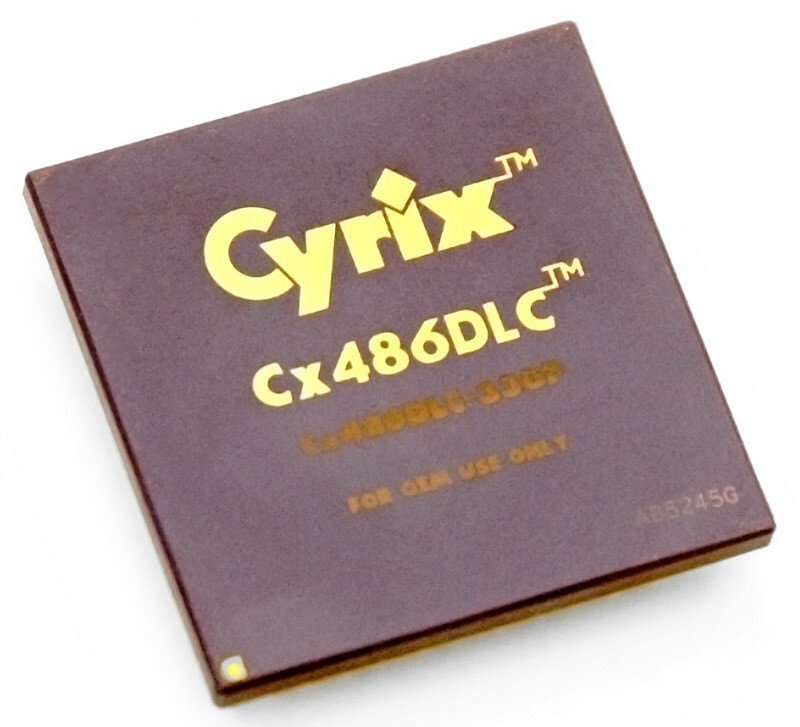 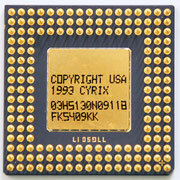 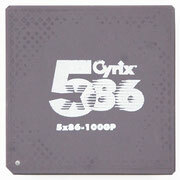 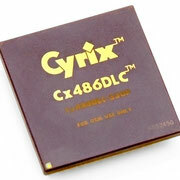 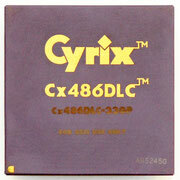 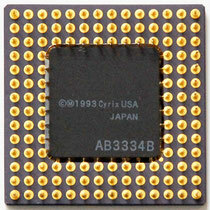 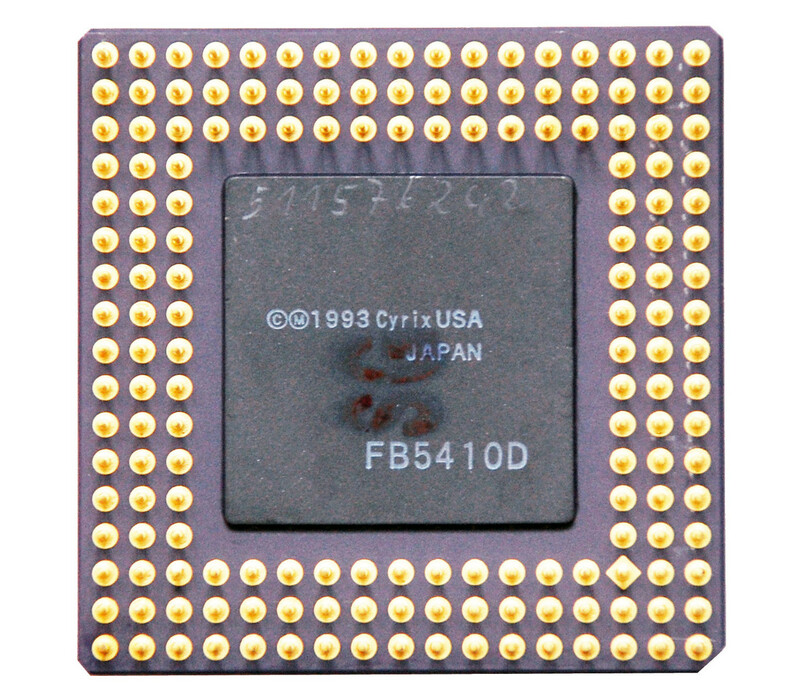 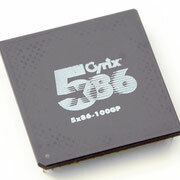 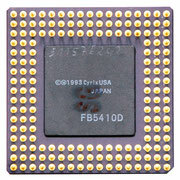 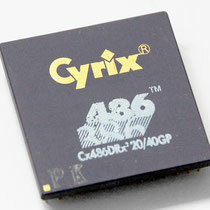 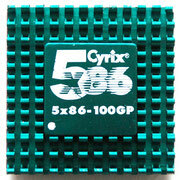 Cyrix made a variety of 486-compatible processors, positioned at the cost-sensitive desktop and low-power (laptop) markets. 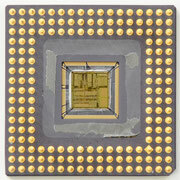 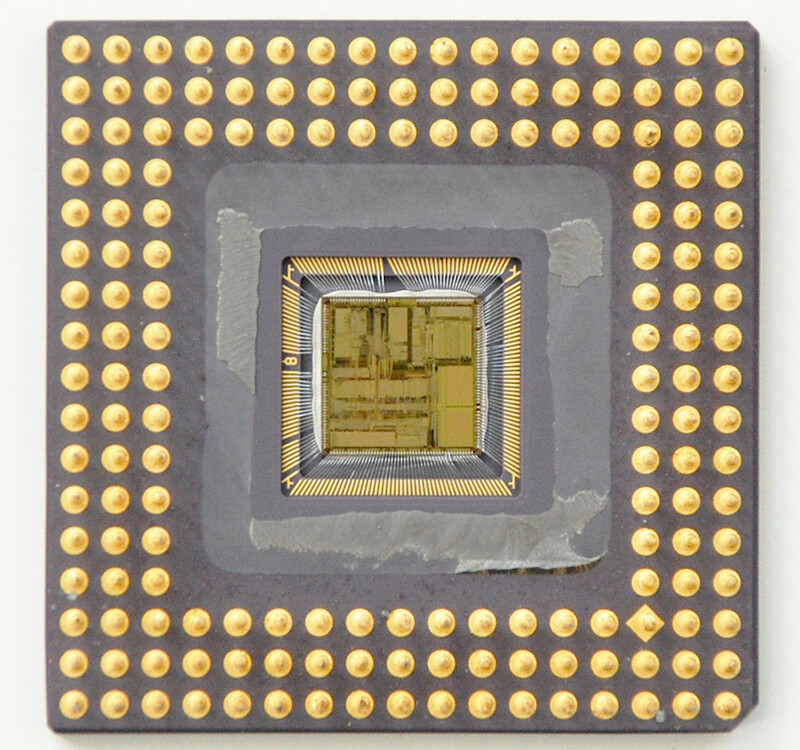 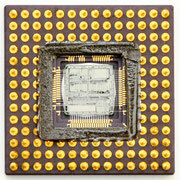 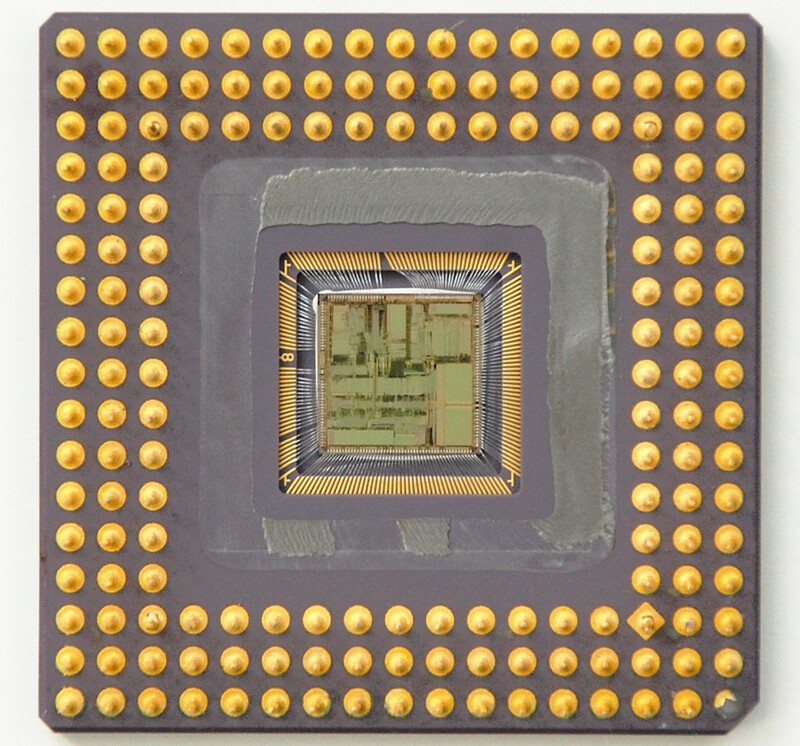 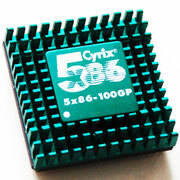 Unlike AMD's 486 clones, the Cyrix processors were the result of clean-room reverse-engineering. 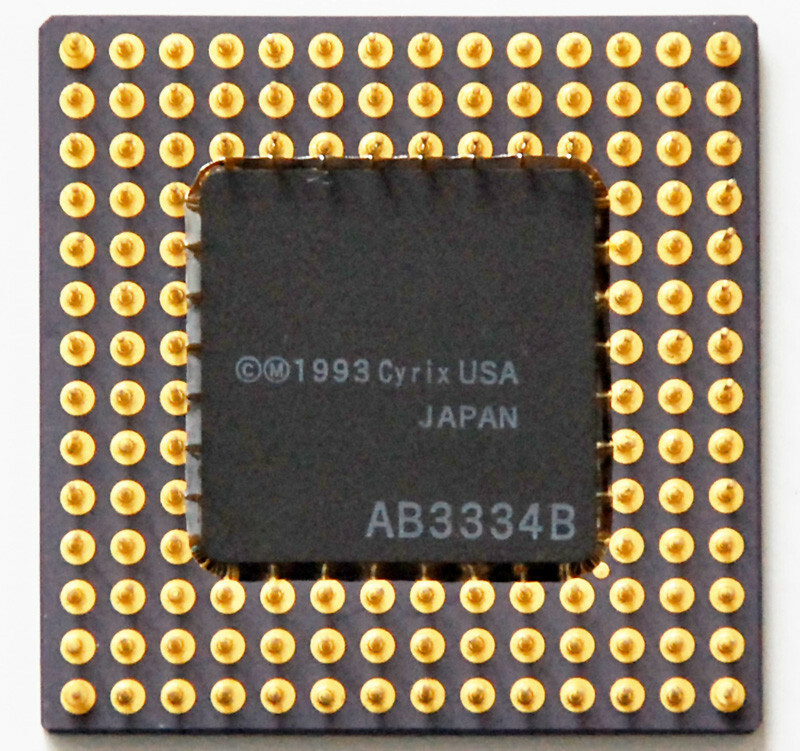 They offered 2 or 8 KB of cache. 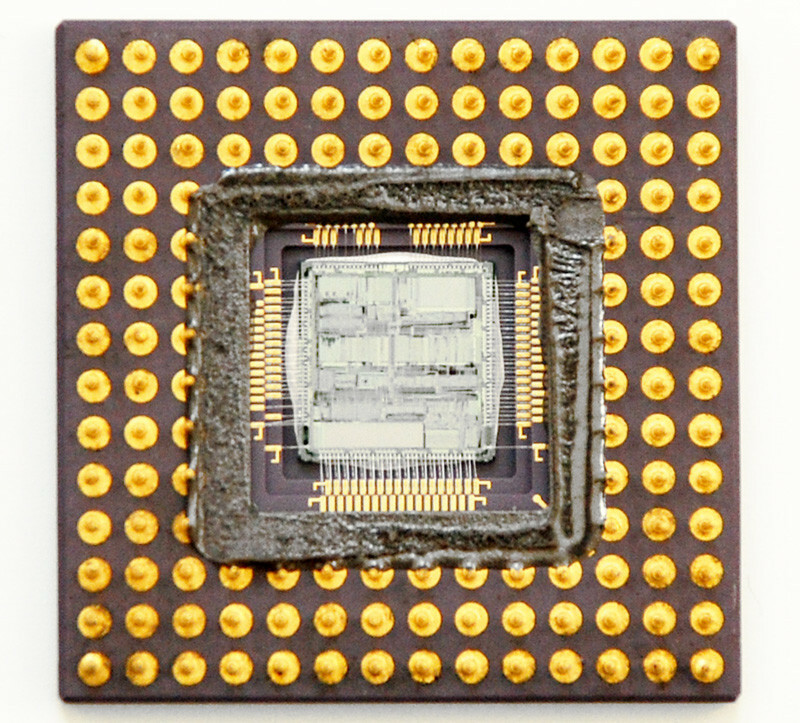 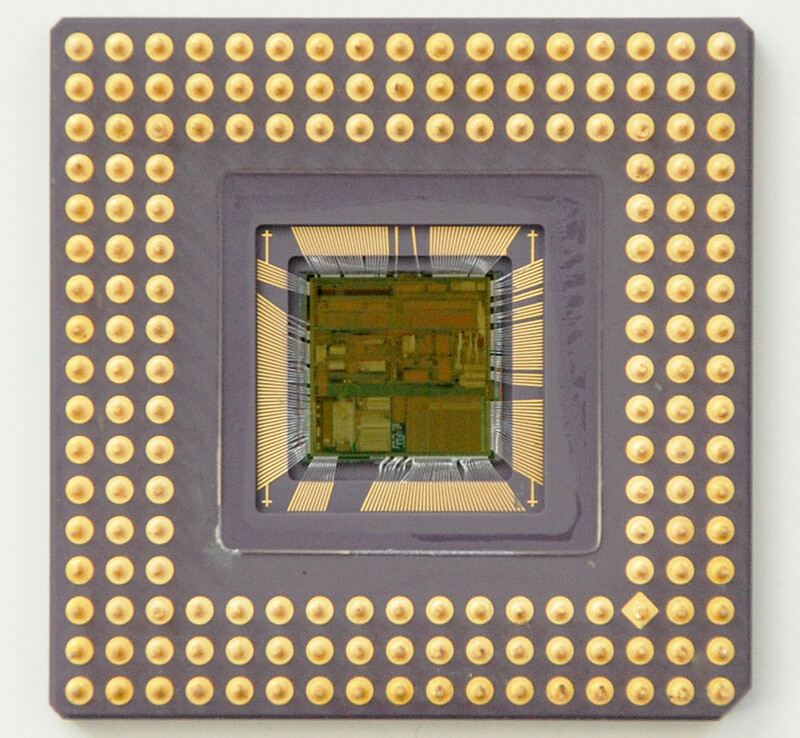 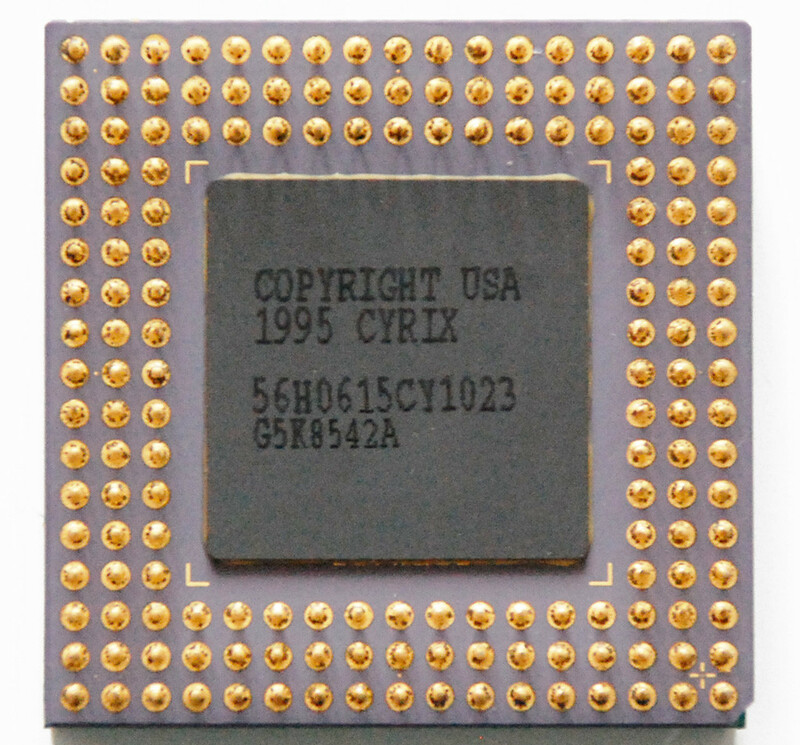 Clock-for-clock, the Cyrix-made chips were generally slower than their Intel/AMD equivalents, though later products with 8 KB caches were more competitive, if late to market. 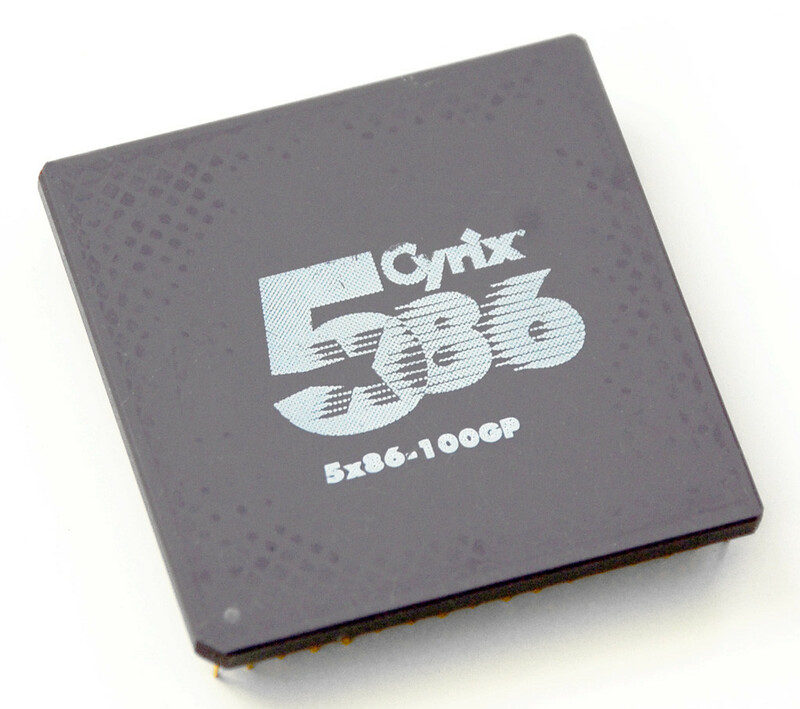 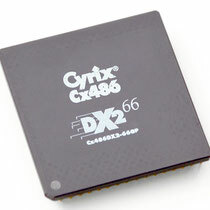 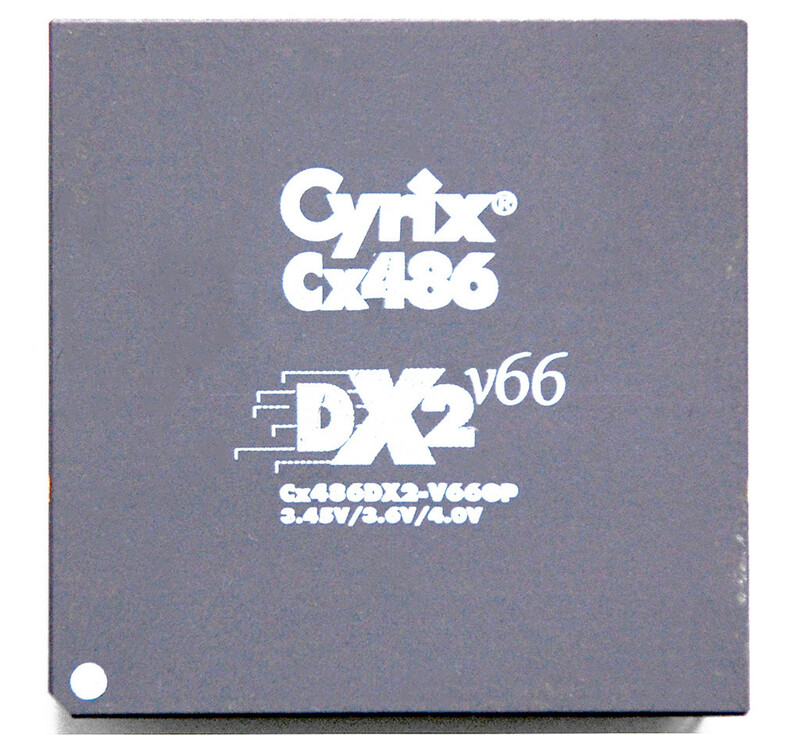 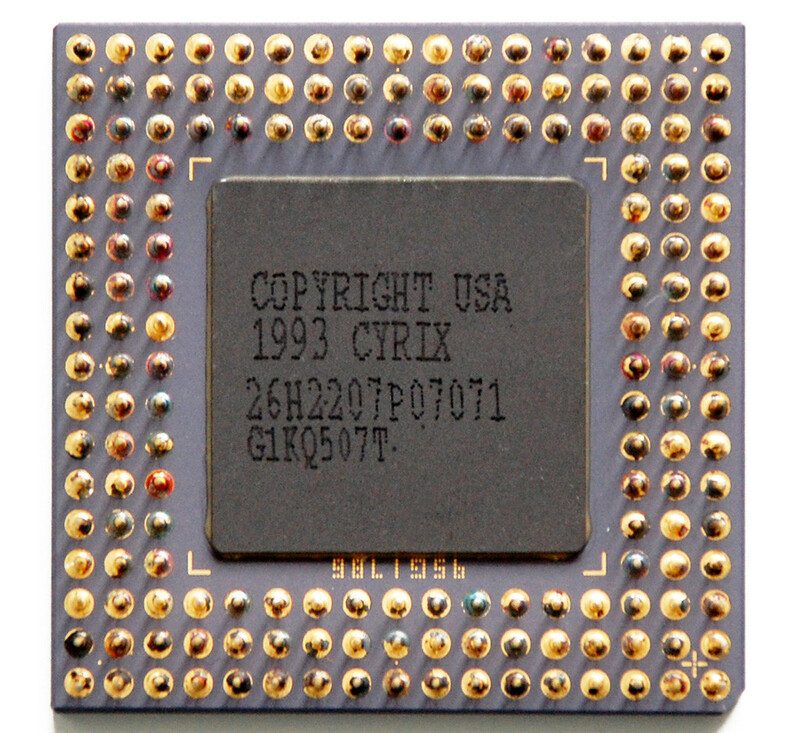 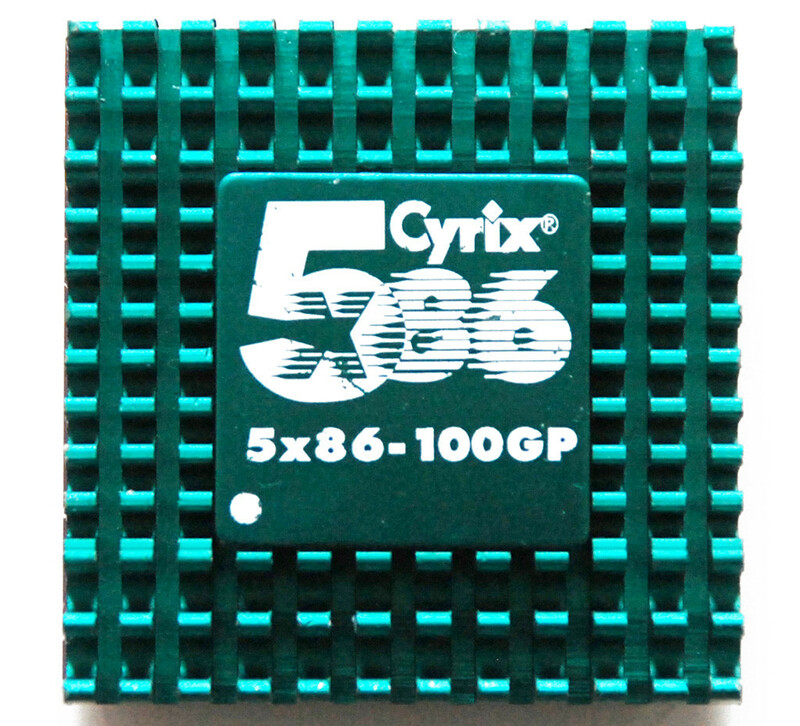 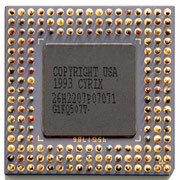 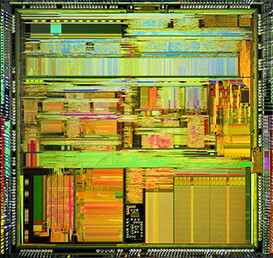 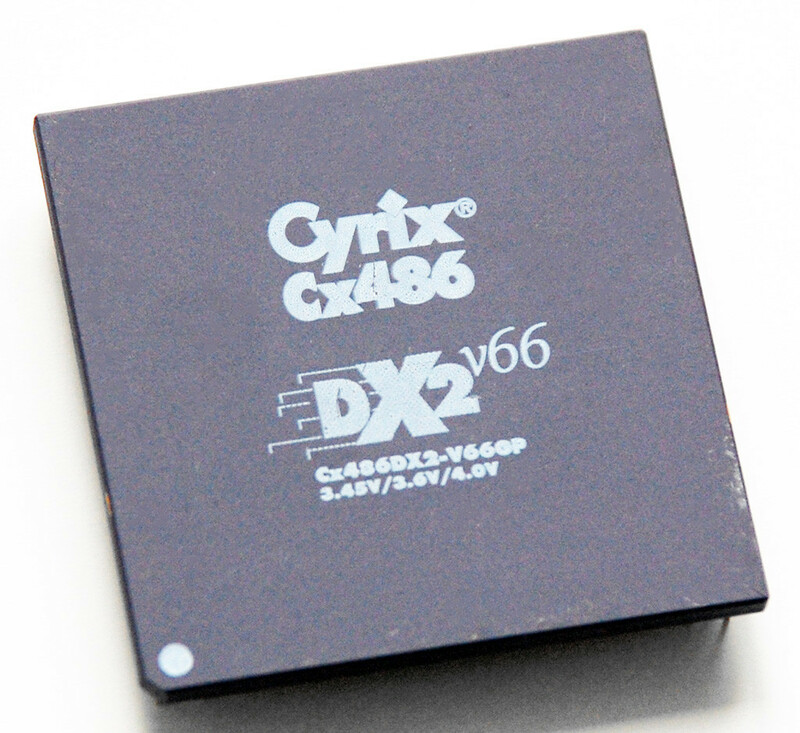 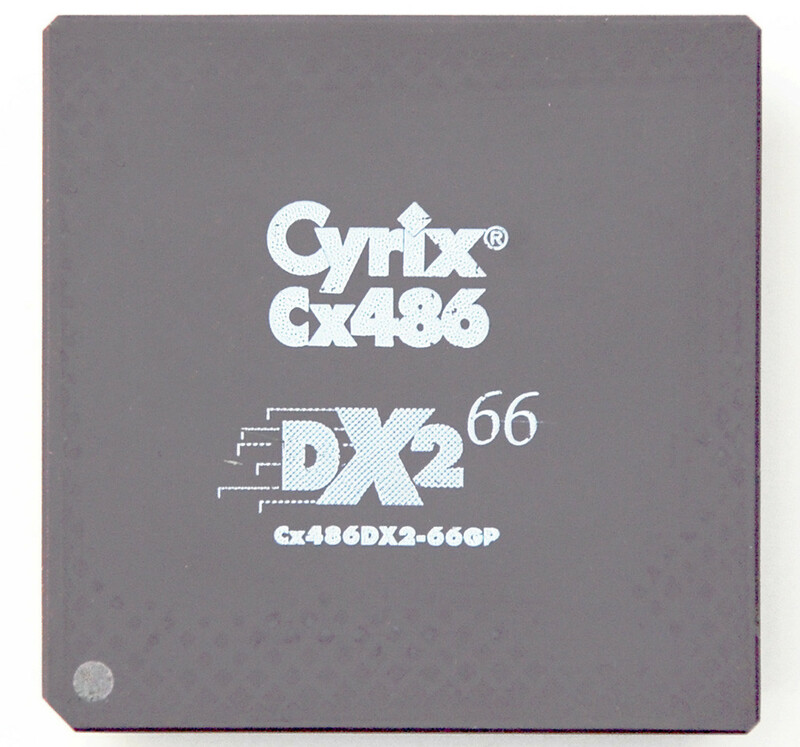 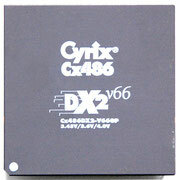 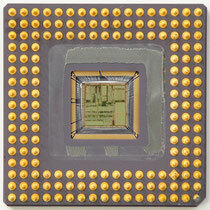 Released in August 1995, four months before the more famous Cyrix 6x86, the Cyrix 5x86 was one of the fastest CPUs ever produced for Socket 3 computer systems. 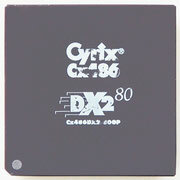 With better performance in most applications than an Intel Pentium processor at 75 MHz, the Cyrix Cx5x86 filled a gap by providing a medium-performance processor option for 486 Socket 3 motherboards (which are incapable of handling Intel's Pentium CPUs, apart from the Pentium OverDrive). 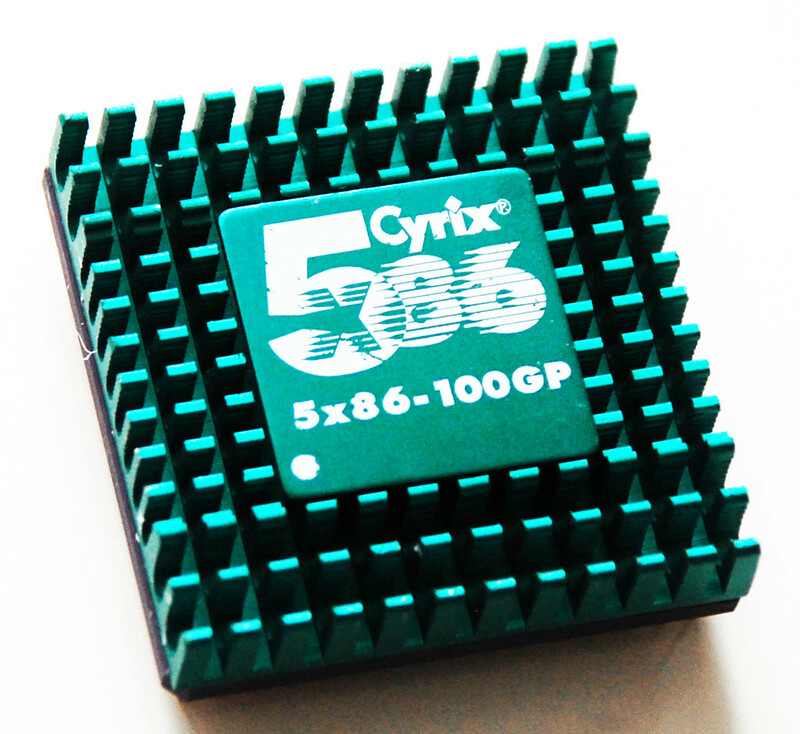 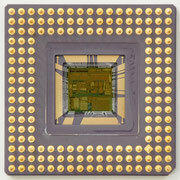 The Cyrix 5x86 processor, codename "M1sc", was based on a scaled-down version of the "M1" core used in the Cyrix 6x86. 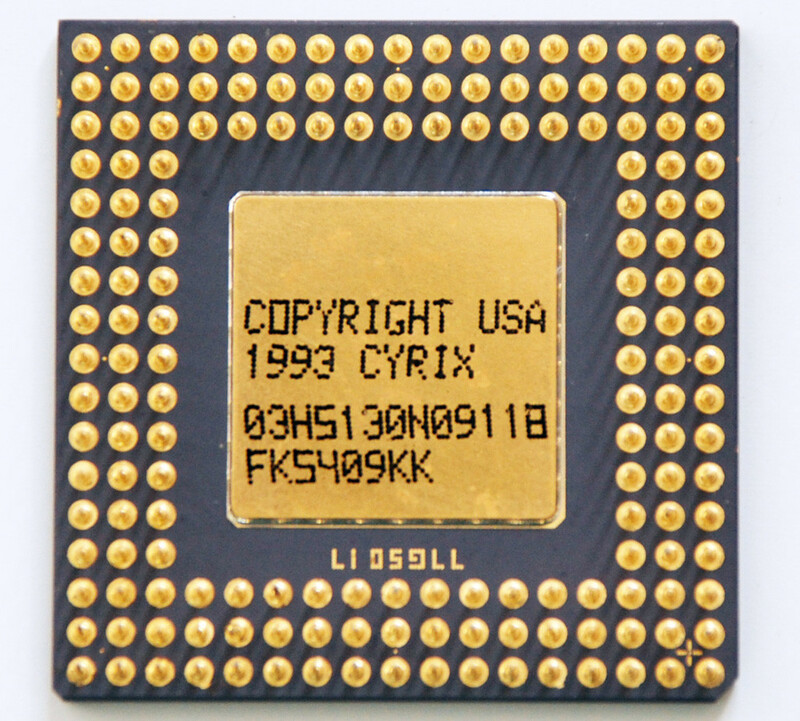 It had the 32-bit memory bus of an ordinary 486 processor, but internally had much more in common with fifth-generation processors such as the Cyrix 6x86, the AMD K5, and the Intel Pentium, and even the sixth-generation Intel Pentium Pro.